Marcia Meier recently spoke with Lisa Rizzo to discuss her poetry, motivations, and inspirations threaded throughout her work. Rizzo is a poet, blogger and world traveler who lives in the San Francisco Bay Area. A middle school teacher by profession, Lisa has published a chapbook of her poetry and blogs frequently about her travel adventures. Her blog, Poet Teacher Seeks World, is chock-full of her insightful and keen observations during her global jaunts, which also informed much of her chapbook, In the Poem an Ocean. Her poems are earthly, nostalgic, piercing and always surprising. 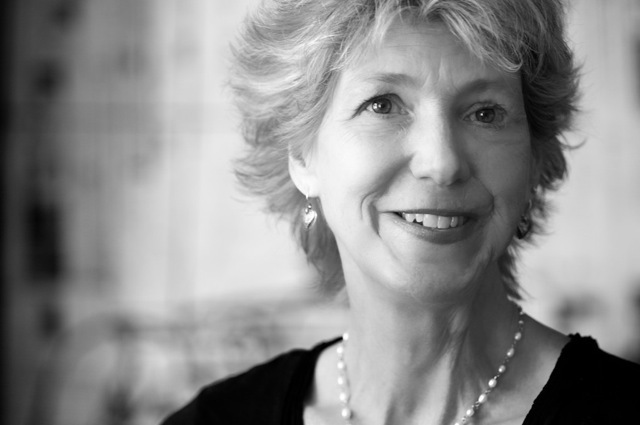 Meier and Rizzo chatted recently about the poet’s passions and her life. Meier: What inspired you to begin writing poetry? Rizzo: I started writing poetry because I was desperate. Even though I had always wanted to write, I only dabbled with it until I was in college. Then I began to attempt writing fiction. I tried over and over to write stories that withered away to dust as I struggled with the characters and plot. I just couldn’t make them live. Then one day, sitting in the big chairs in the university library where I always sat, out of sheer frustration I abandoned prose and tried to write a poem. No, I wrote a poem. It came bursting out of me in one swift flow and that was it. I’m not sure why I had never tried poetry before. I guess I had never thought someone like me could write poems. All my traditional liberal arts education had made me feel that poets were people far out of my realm. But there it was, a poem. Meier: You went back to school at midlife to become a middle-school teacher. Why? And how does poetry figure into your professional life? Rizzo: As with writing poetry, I became a teacher out of sheer desperation. I was working as an insurance claims adjuster and I was absolutely miserable. I can still picture the moment, standing in the kitchen of my rented apartment, when I realized that if I didn’t change careers, I didn’t want to live. I had never, ever wanted to become a teacher. I think it’s because my mother told me I should. Or maybe because I had had some very negative experiences with teachers in elementary school. Maybe it was too “girly” for a feminist like me. But for some reason, that night, it came to me in a flash that teaching could be a way to live and work more creatively. Ah, poetry and my professional life—what a conundrum, that connection always fraught with conflict. For one thing, there is the constant pull between my teacher self and poet self. Teaching is a very draining occupation. It’s all pouring out, giving of myself. Very rewarding in its own way, but not very conducive to the contemplative side of me. This makes it very, very hard for me to write. I have little reserves left at the end of the day. Then there are our society’s attitudes about poetry. We are still so frightened of poetry in our society that I find most of the teachers I know are afraid to teach it because they are afraid their students won’t like it. That hasn’t been my experience at all. So I guess I’ve tried to be a champion of poetry in my professional life. I talk to my students quite a bit about being a poet; I read some of my poems to them and talk to them about going to readings. I want them to know that if they have the desire, they too can be writers, that it’s a possibility for them. I don’t want them to think like I did, that poetry has to be something for someone else. Meier: Who are your favorite poets, and why? When I first read that poem, it gave me chills. I felt like he was talking about me. I only wish I could write a poem like that. And then Mary Oliver. She writes about nature the way I want to write about nature. With her precise powers of observation that make every creature and plant alive with the universe. Meier: Many of your poems spring from place, whether your childhood home or any of the many places you’ve traveled. Why is place so important to you as a poet? Rizzo: As a child, my family moved around quite a bit. I went to a new school almost every year of my elementary school career. It wasn’t until I was in middle school that we stayed put. For a young girl like me, shy and introverted, those moves were torture. I became the quiet observer sitting in the back of the classroom, watching everyone. I became the observer who noticed the nuances of our different houses and neighborhoods, the different people around us. Because of those moves I had to create my own “place” wherever I was living at the time. I think that’s where my need to “name” places, to describe my experiences of them, originated. Meier: Your chapbook, In the Poem an Ocean, was published in 2011. In that lovely collection you explore being a daughter, desire, and finding your place in the world. Are you working on a new collection and, if so, what is/are the theme(s)? Rizzo: I have a collection of poems growing. Right now, I think it has a theme exploring the idea of dislocation. What I mean by that is the idea of feeling unsure, unsettled. My parents are aging, and my father is in the early stages of dementia. I think of his memories as becoming dislocated, which is where I came up with the word. And I have endured a few dislocations of my own lately. However, I’m not sure if that really is my theme since I’m finding right now that my poems are changing. My voice seems to be developing into something very different. While this is exciting, it also makes me a little unsure about where I am going. When I went to AWP for the first time this year, I attended a panel in which one of the poets talked about the problem with writing to a theme. She discussed how worrying about themes can stifle your creativity. She advised us just to write and see how our themes develop as they go along. I liked that. I sometimes worry that my work doesn’t have themes or overarching ideas. I think I just can’t see them until after the fact. But of course, there are currents that run through my work. Maybe I’m just too lazy or too busy to find them right now! Meier: You have never had your own children, but your niece and young girls often show up in your poetry, as do you as a young girl. Why is that theme important to you? Rizzo: I can’t really tell you where this all started. In fact, this is another aspect of my work I had never really thought about until you asked. Maybe I’m still trying to take care of the little girl inside me! That’s the easy answer, and I do think there is something to that. When my niece was born, it surprised me how much I loved her from the moment I held her in my arms. As a woman who never really wanted to have children, and who still doesn’t feel the loss of her own children, I was unnerved by the feelings. I had to admit to having a maternal side even though I didn’t want to be a mother. I spent a great deal of my childhood years taking care of my younger siblings, so I feel like I already raised my children. Then, of course, there is the fact that I’m a teacher of young people. So children are an important part of my life. I’m not sure this answers the question fully, but I’ll have to think about this more. Meier: In your blog, Poet Teacher Seeks World, you write about your many excursions abroad. Why is travel important to you as a writer, a poet, and a woman? Rizzo: You would think someone who moved around as much as I did as a child would want to stay put! But I guess it gave me wanderlust. I wrote about that in one of my poems. I do know the exact moment the travel bug hit me. I was lucky enough to go to Spain on a school trip in high school. This was back in the old days when kids were much less supervised, and we had much more freedom to roam around Madrid on our own. One night, a group of us searched for a restaurant for dinner. When we finally found one, it was up a flight of very rickety stairs in a darkened hallway. In fact, a few of my companions got nervous and left without eating. However, those of us who stayed opened the door to reveal a lovely local restaurant. There were soldiers playing cards in the corner and families talking and eating. It seemed magical to me, and that moment has stayed with me ever since. As a writer, I’ve experienced many epiphanies while on my travels. Being in unfamiliar places seems to shake me out of myself, giving me the clarity to understand myself in a new way. That has led to many poems. It’s that idea of dislocation again—only in a positive way. I have never thought about traveling being significant to me as a woman. Thank you for asking this question! I’ve decided that traveling makes me feel powerful. Having traveled on my own a few times, I’ve learned how to take care of myself in difficult situations, to feel capable of facing anything. Women are taught to fear being alone, solitude. Braving unknown cities and countries has helped me overcome those fears. Besides, it is so much easier to spend time observing and writing when I’m alone. In fact, I’m looking forward to my next trip in just a few days! Meier: Would you share a recent poem? into a teenager’s musky, unmade bed. those two had no sticking power, no grit. after the mower has passed over them. Meier: If you could have dinner with any poet, living or dead, who would it be, and why? Rizzo: Oh, it would have to be Emily. I would love to ask her how she did it, writing and writing and writing while still staying so isolated. How did she stay so true to herself? How did she know that what she was doing was so important and real? Did she have any idea how original and unique her poetry was? Those are all the questions I’d love to ask her. I’d like to find out if she would be a good dinner companion or would it be like talking to a teenager? Would I have to pepper her with questions with her replies being one or two-word answers? Meier: You’ve said you want to become a mentor to young women writers. Where does that desire come from? Rizzo: I had no mentors when I was young. No one encouraged me to write, to have any ambition for myself as an artist. My parents are wonderful people who worked hard to make sure I had a good education. My father always says he is most proud of the fact that all four of his children graduated from college. My mother taught me to be strong and to take care of myself financially. But the realm of writing was outside their scope. As for my teachers, I had some very bad experiences as a child, and even those who weren’t damaging didn’t encourage me. I was just the quiet girl who sat in the back of the class who never talked, never contributed. All this made it extremely difficult for me to find my way as a writer. It took me decades to feel I had the right to call myself a writer, to feel confident in my abilities. I wonder what it would have been like if I had had a teacher who told me I had talent? These are the reasons I want to help young women. If I can show them that they can aspire to be a writer, make writing a part of their lives, then they might have a leg up on me. Maybe they won’t waste so much time doubting themselves. 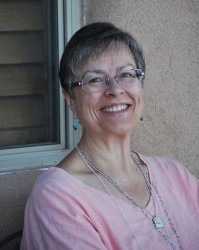 Marcia Meier is an award-winning writer, editor, writing coach, and director of the Summer Writing Institute at Antioch University, Santa Barbara. She is the author of Navigating the Rough Waters of Today’s Publishing World, Critical Advice for Writers from Industry Insiders (Quill Driver Books, 2010) and Santa Barbara, Paradise on the Pacific, a coffee table book published in 1996 by Longstreet Press in Atlanta. Her recently completed memoir, About Face, A Journey to Self, is with her agent. She has free-lanced or written for numerous publications, including the Los Angeles Times, The Writer magazine, Santa Barbara Magazine, Pacific Standard Magazine online, and The Huffington Post. A print journalist for more than 20 years, Marcia worked for four daily newspapers in the roles of reporter, copy editor, assistant city editor and editorial page editor. She was with the Santa Barbara News-Press for nearly 10 years, and served as editorial page editor for most of that time. She holds an MFA in creative writing and a bachelor’s degree in journalism, and has taught for various institutions, including Cal Poly, San Luis Obispo, Westmont College, Brooks Institute, and Santa Barbara City College Adult Education. What an inspiring, moving and illuminating interview. Thank you, Marcia and Lisa! We’re glad you enjoyed the interview. Stay tuned for a wonderful review of Lisa Rizzo’s In the Poem an Ocean by Marcia Meier, coming next week! A very engaging interview. I loved the ‘call to pen,’ and the poem.